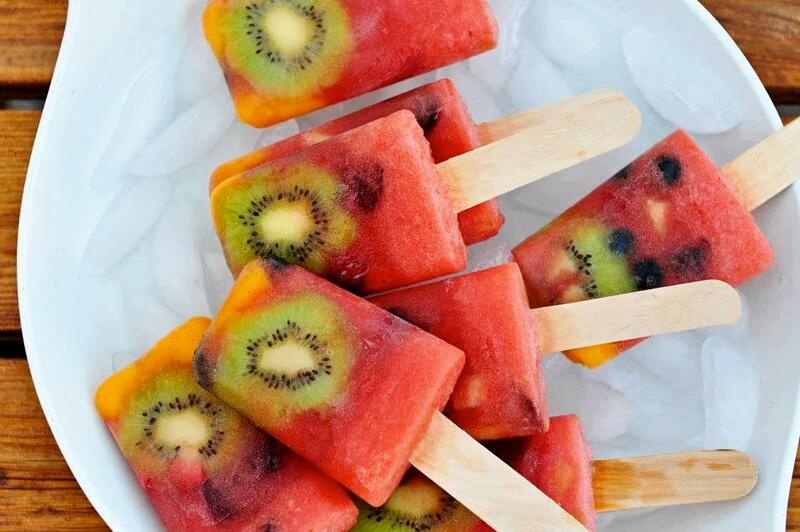 These popsicles are just like summertime on a stick. Made with real fruits, you can have them guilt free. Cut watermelon into big chunks and then puree it in a blender. Set aside. 1. Take 1 dozen popsicle molds (amount needed will vary depending on size of molds). 2. Fill each one with the chopped fresh fruit. Pour in the watermelon puree until each mold to the top. 3. Slide a popsicle stick into each one. Place into freezer and freeze for about 6 to 8 hours.